The world of charity giving and service learning is ever-changing in schools. In the schools and districts I have worked in, the pendulum has swung back and forth between localized, very school-centric initiatives and global initiatives as part of a massive network of young people around the world. My first memories of giving in schools is tied to UNICEF boxes at Halloween. The program, which was discontinued in Canada a decade ago, had children collect coins along with candy when they went out for Halloween. In today’s schools it is hard to find young people not familiar with WE Day, We Charity (formerly Free the Children) and their related entities. It has been an incredible model to watch grow. It has combined star power, amazing energy and a huge infrastructure and organization, to help engage young people in service learning and charity. While my first memories are of the orange UNICEF boxes, and the WE opportunities are dominant in many schools, there have forever been and continue to be amazing smaller organizations doing thoughtful work, that are worth celebrating. I want to tell you about one of them – Freekicks. 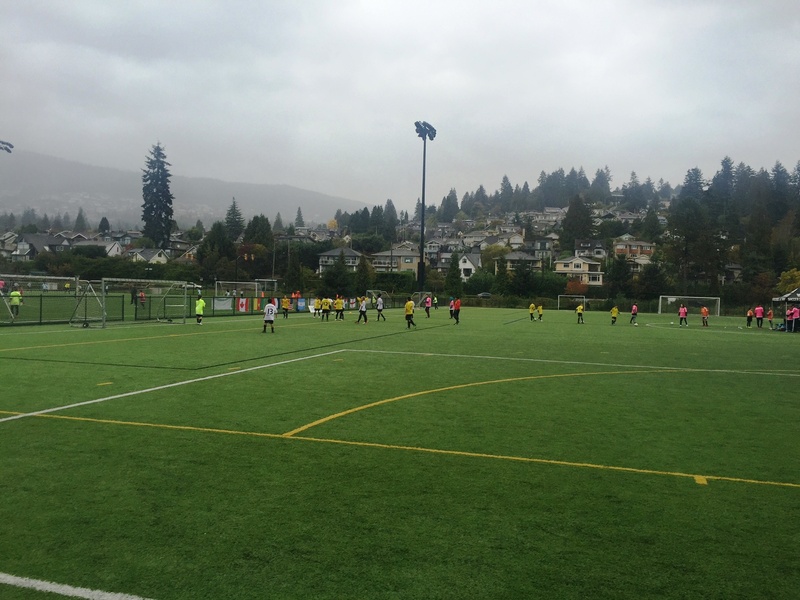 It is a professional development day in West Vancouver and the local soccer fields are humming. When I get there the rain is coming down pretty good, but nobody really notices. The fields are full of elementary aged boys and girls playing soccer. The players have been assigned to represent a variety of nations for the day – from Canada to Cameroon. 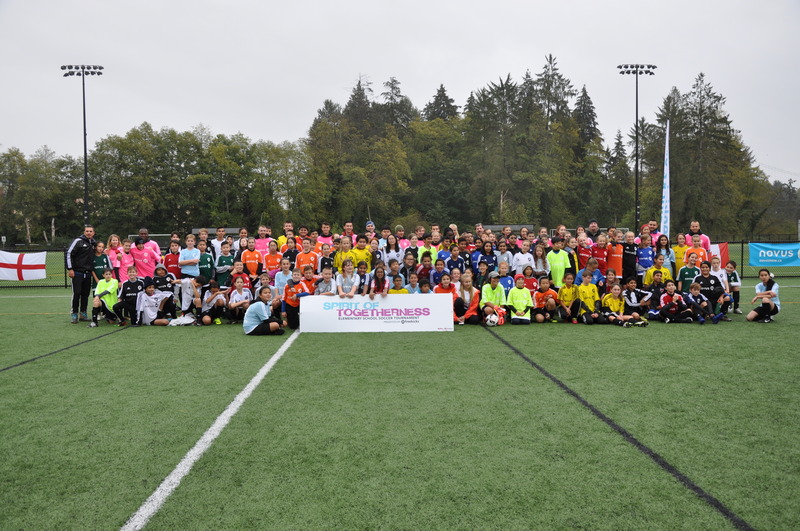 The teams are made up from a cross-section of students from schools – the tournament features students from across West Vancouver, as well as from a number of inner-city schools in Vancouver. Of course, you would never know as all the students are wearing the same new uniforms. In talking with founder Adam Aziz and other organizers, I learn some of the students who came today had never been over the Lions Gate Bridge. 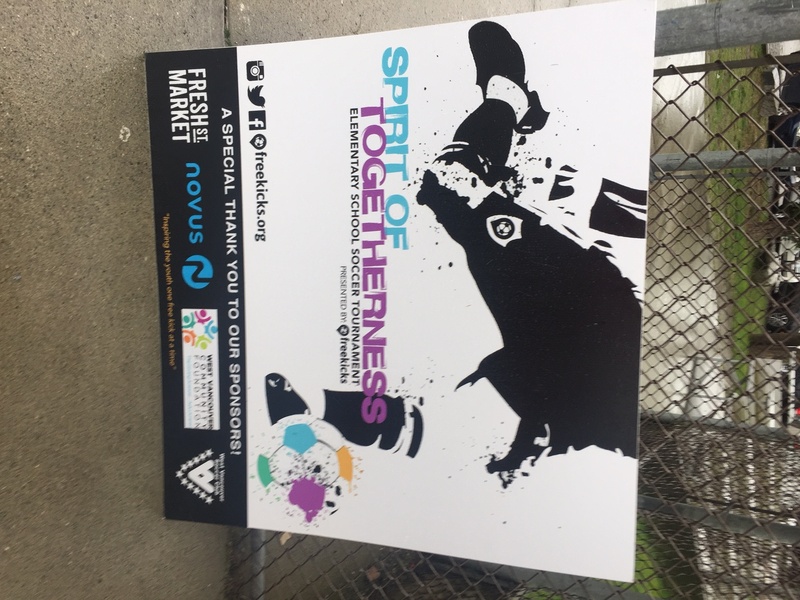 Soccer is a vehicle to connect students – it is the “Spirit of Togetherness” that is being celebrated. There is no class system here, everyone has the same uniforms, the same pancake breakfast, the same lunches and the group is united around sport. Local businesses have come together to support the event, high school students were volunteering as coaches and officials, and already plans are in the works to make it bigger next year. 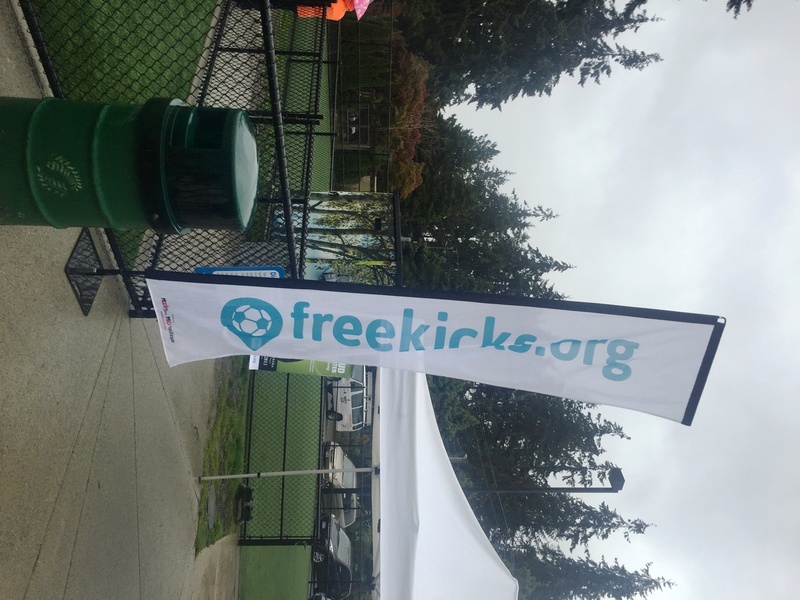 What a great way to use the common language of soccer to bring young people together as teammates who may not normally ever connect – and realize just how much they have in common. We need organizations like UNICEF, the United Way, WE, and others who tackle changes on a large scale across our communities and around the world. And we also need to celebrate all of the organizations like Freekicks and the power that one person, or a group of people with a big idea can make a positive dent in our world. Always important to remember the little things – such as those organizations who do great work on a local level! Even more interesting thinking about “opportunities for students” when so often we think of rural vs urban when in reality, been in an urban environment can be just as isolated as a rural community…..when you shared “haven’t ben over the Lions Gate Bridge” it gave me another community perspective. Thank you! Thanks Ian. Yes, no doubt there are far more opportunities in the “big city” but we definitely still have populations who feel isolated and quite confined to their local communities. Your blog topic is a tremendous coincidence! Eagle Harbour School is doing a South America Study this year. As part of our leadership studies in my upper elementary class, we wanted to focus their studies and have them engage in shared decision making by learning about worthy charities on the continent. The one chosen by our ballot was The Galapagos Conservation Trust, but FreeKicks was not far behind. For exactly the reasons you mentioned, I was keen to have the students consider taking on two charities – the one they selected and FreeKicks, as they link to different curricula, allow us to broaden our studies through our fundraising and awareness raising, but most of all connect locally to those running the charity. The referendum we held to expand our scope was a squeaker, but Eagle Harbour’s Upper Elementary have opted to take on the challenge of promoting both charities this year. Thanks for another interesting post – it’s been great reading the blog through my B.Ed. and now even more so as a member of the teaching team in the district! You will have to invite me over to see this in action. It is wonderful when we can find ways to make these kind of activities more “real” for out students.